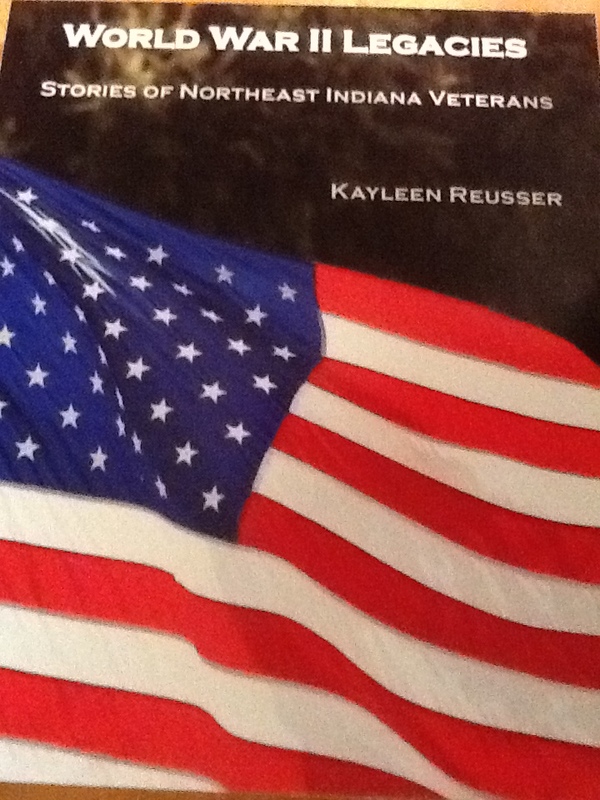 I was saddened to hear of the death of a World War II vet featured in my book, World War II Legacies: Stories of Northeast Indiana Veterans. The fighting at Cherbourg continued for two weeks with an Allied victory. Six months later, Foster was involved in another brutal conflict at the Battle of the Bulge in the Ardennes Forest in Belgium. The conflict, which began on December 16, 1944, took place during one of the coldest winters on record. For three months the soldiers fought while sleeping in foxholes filled with snow. Many soldiers froze to death. “Dead soldiers were stacked 20 feet high,” said Foster. Struggle against the elements was only part of the challenge to survive. 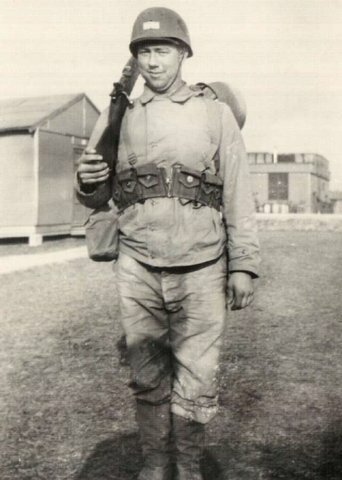 When Foster’s captain put him in charge of the platoon for a raid on a town in Belgium, he handed Foster a Browning Automatic Rifle (BAR) with 15 clips of 30-caliber shells, weighing approximately 15 pounds. “Our other BAR man had been killed,” said Foster. Bob Foster fought with the US Army in WWII. The BAR could shoot like a machine gun, but was little protection against German tanks, which shot 88-millimeter shells, the biggest in the world. When the Germans opened fire on Foster’s platoon, a shell critically damaged his captain’s leg. Foster was also injured in the knee and head but tried to help his captain, pressing his hand against the wound to staunch the flow. Sadly, the captain died. Foster, weak from his own blood loss, collapsed and medics rushed him to an aid station. Later, he was transferred to hospitals in Paris and England where he recovered and returned to his unit in Germany. Our family visited Bob last Christmas. It was a sweet visit but not the last time we saw Bob. 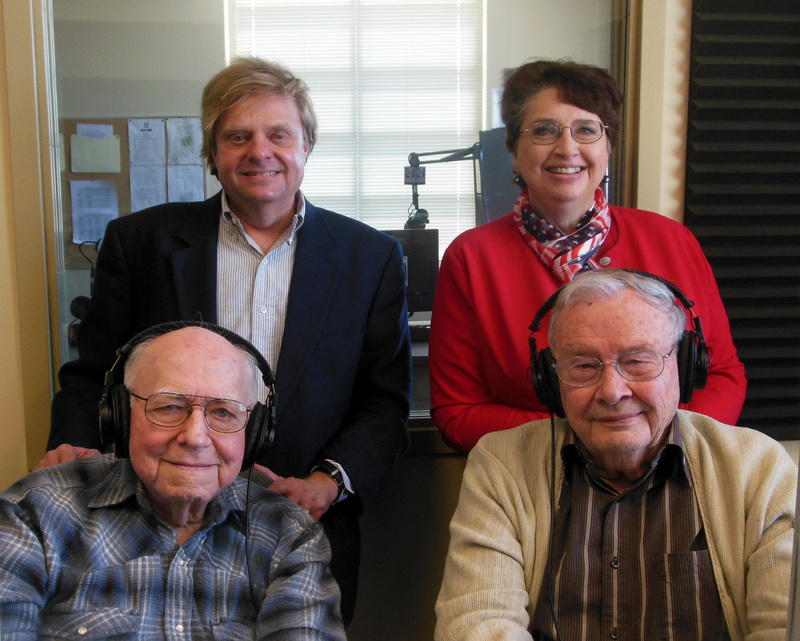 In Feb 2015 we drove him and another vet from my book, Don Shady, to Indianapolis to appear on a live radio station at the University of Indianapolis. Our host was Nelson Price. Our subject, of course, was WWII. The guys, neither of which had ever been interviewed on radio, did swell! 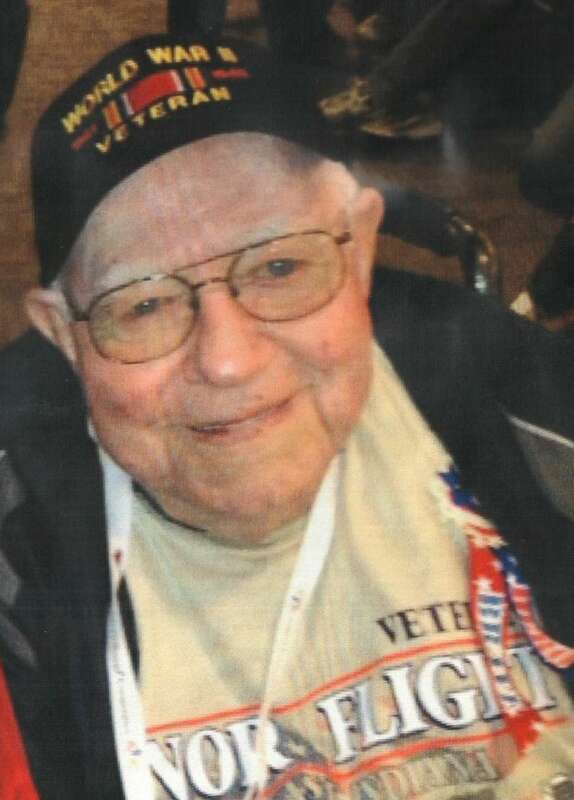 “I met Bob on October 23, 2013 for Honor Flight 11 out of Fort Wayne. We at WANE-TV had recently partnered with Honor Flight of Northeast Indiana. My boss and I went as guardians. I was assigned to Bob Foster. “Who’s he?” “Oh, you’ll like Bob. He’s a Purple Heart veteran with a couple of Bronze Stars.” “Wow!” I said. That day he told me how his wife Phyllis, who had died in 2013, and others at their church had prayed him through the worst days of World War II and the war in Europe. Afterward, he came home to raise a family and work for the USPS. I knew I’d stay in touch with Bob Foster. Not every day, not even every month, but when we did talk, he’d mention how wonderful Honor Flight was and how good of care I took of him that day. 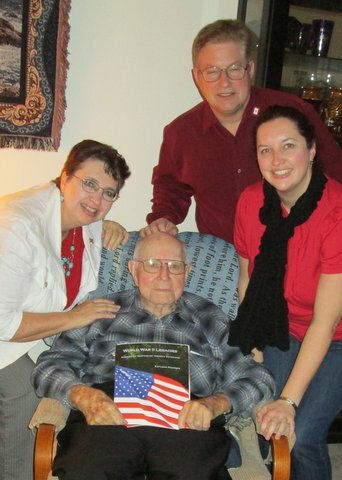 Bob struck me as a classic World War II veteran who insisted on doing his duty. He ended up in some incredibly dangerous, life-threatening situations in the European Theatre. He survived to return to his wife in Indiana, work and support his family, and center his life around his God. He never lost his God-given pride for all of that and his good nature, but he never let any of it get the best of him or make him vain, at least not in the 21 precious months that I had the privilege of knowing this fine man. Thank you for giving me the opportunity to speak about a hero of mine, Bob Foster. Every day World War II vets are dying. In today’s newspaper I read of another vet who died this week and whom I interviewed last year for a local newspaper. Another vet also died this week from my area whom I didn’t know and didn’t get to interview. I consider that a loss for our American heritage. Our World War II vets are our nation’s oldest vets. I’m trying to interview as many of them as possible to preserve our heritage. I can’t do it alone. Please, if you know a veteran of any era, ask him/her to tell the story of their life and record it. You’ll be glad you did.